This outfit that I wore to work last week has proved two things to me: 1. it’s hard to wear white jeans with knee high boots and not look like you’re going horse riding, and 2. It goes totally under my radar when I mix more than two patterns in an outfit*. Not forgetting… Please vote for me in the world’s easiest voting thingy! 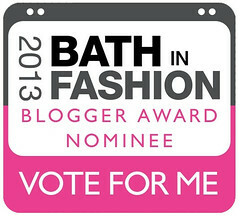 One last thing: I am STILL begging for votes in the Bath in Fashion Blogger Awards (a UK regional best blogger award) – it’s a major deal for me so PLEASE vote, there’s only two days left to get them in! I have to attend the awards ‘ceremony’ on Thursday (there’s a catwalk show and I’m frow, how did I bag that?!) so PLEASE GET VOTING! It’s one vote per IP address so please vote once on every PC/laptop/phone etc. you have! Of course I’ll keep you updated with the results (late pm BST, Thursday 18 April) – follow me on Twitter @notlamb to get up-to-date news! Thank you so much everyone, I really appreciate all the support you’ve shown me so far! *Correction: it’s four patterns if you count the coat…! 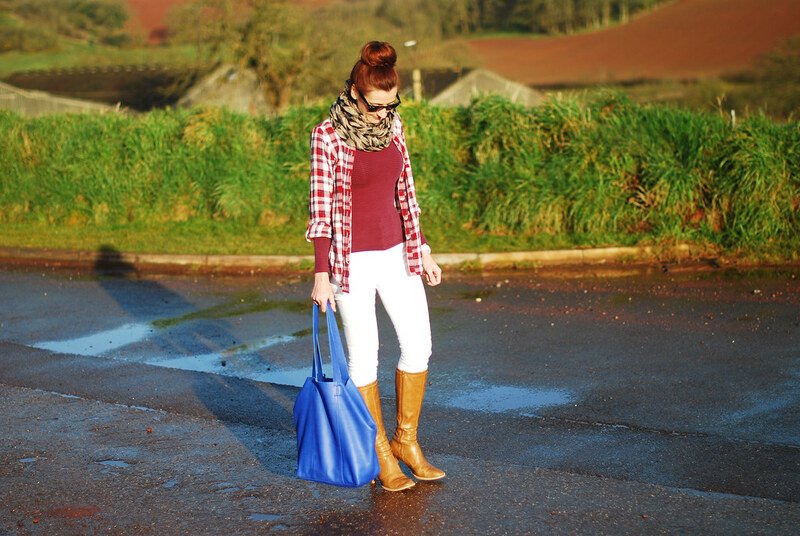 Love the unexpected white jeans and those fabulous boots! I think your look is FAB!! 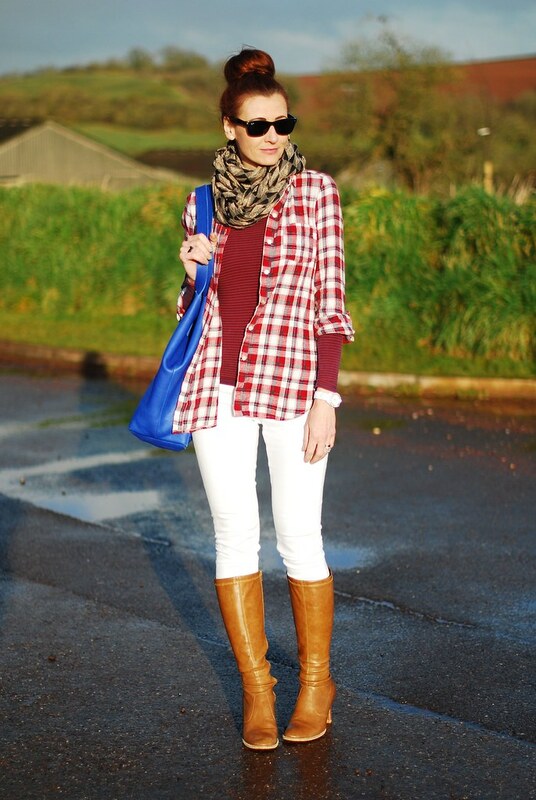 I love the white jeans in the boots and the pattern mixing rawks! You look very pulled together!! Love your pattern mixing! 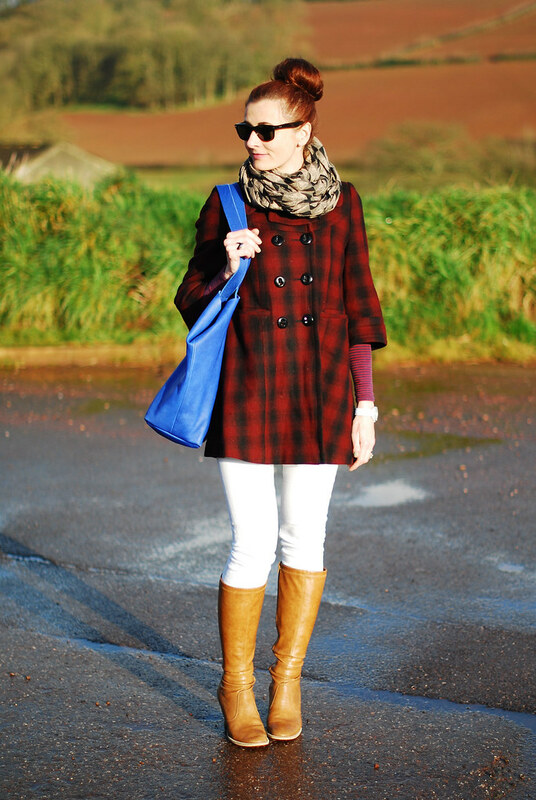 I found your blog through What I Wore Wednesday, and I'm your newest follower! Feel free to follow back if you'd like. I think it looks amazing. It doesn't read equestrian to me at all – but then again I'm in Nashville where this look would be right at home. Voted and I SO love that bag! Yet another amazing outfit. Love! This mix of patterns is awesome! In fact, I think I might be trying to come up with something very similiar for tomorrow since the weather forecast just said rain and possibly snow and I don't want to look like winter again. Thank you for your wonderful inspiring posts. You look adorable, I love this mix of patterns! Your photos are always so vibrant and perfect! Love this look! A pop of red and blue is amazing! 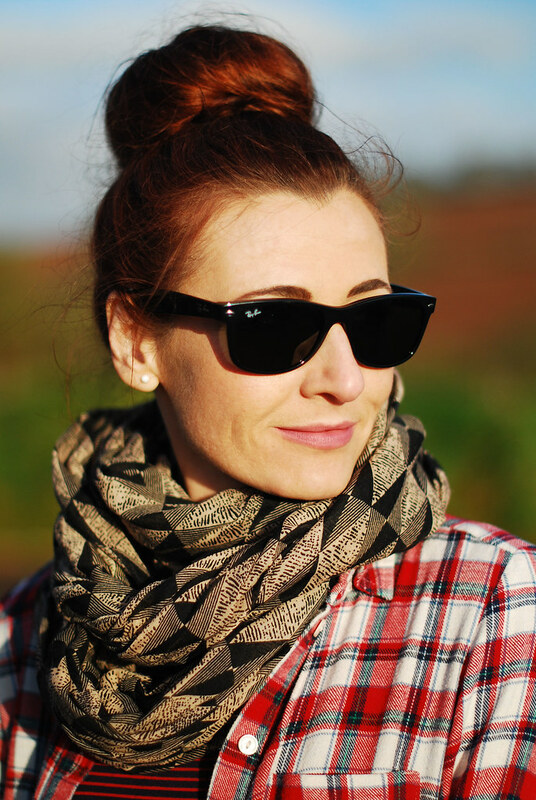 Love your scarf! I must say that I'm sooooo jealous of your background! I was actually teasing my parents the other day that we needed to move to Britan so I could have awesome backgrounds! LOL! Thank you Natasha – it's funny I keep saying I want to move to California for the sunshine for blog pictures!! The weather is pretty dismal most of the time in the UK…!! I like your white and reds. They don't look "horsey" to me at all. Great pattern mixing! Lovely outfit! IF you hadn't pointed it out, I wouldn't have even noticed that it was stripes and plaids together. voted for you again. love the simple, casual outfit. the top bun looks great on you. 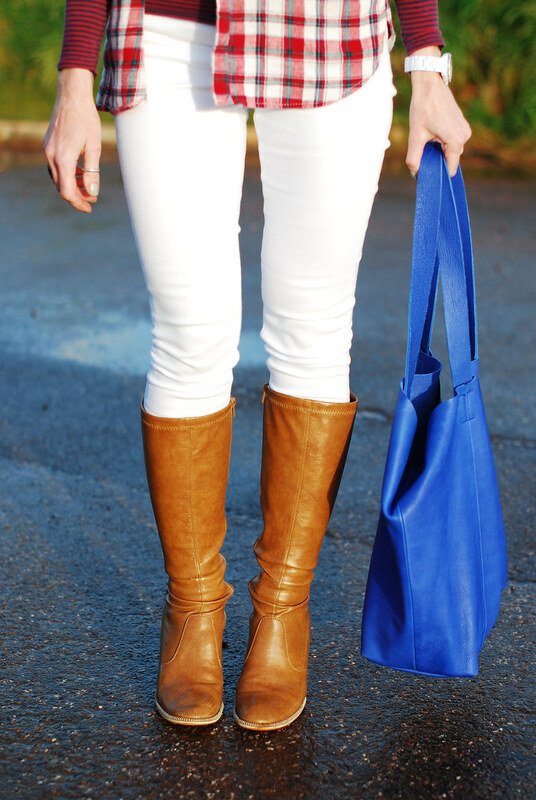 Love the white jeans with the boots – I think that's a perfect shade of tan & the round toe makes it classy (rather than pointy toes which would make you look like you're horse riding). I also love your hairstyle. Do you think maybe you can do a Vblog on how you put your hair in a bun? Thanks hun – not bad for a really old pair I thought about throwing out…!! Beautiful sun light photos and fabulous colours! The pattern mix suits you really well. Love this subtle pattern mixing!! !